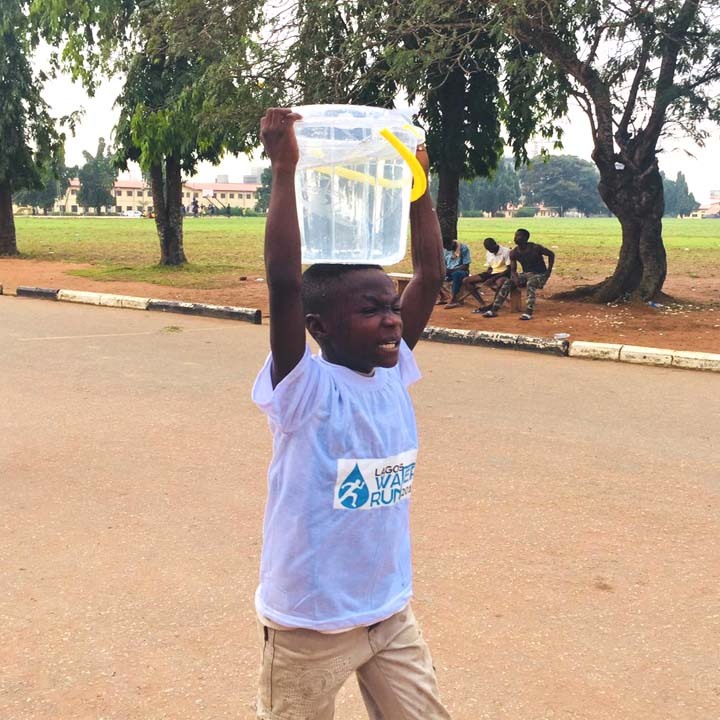 16 Children between the ages of 8 and 14 years took on a 400 meters journey with 10 Litres of water on their head while another set of 14 children ran 800 metres with 10 Litres of water on their head for the first 400m and without water for the next 400m. 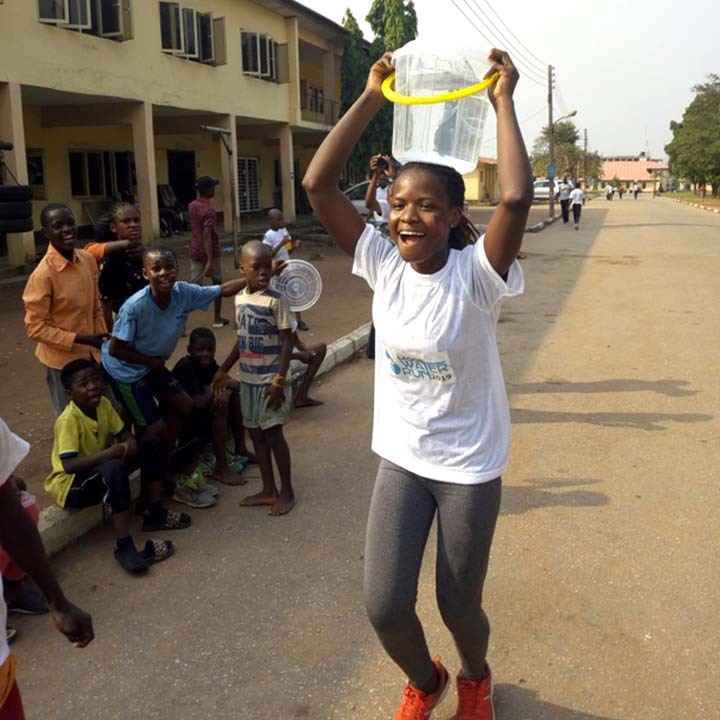 The Lagos Water Run is an offshoot of the Hope Spring WASH Run. An idea birthed to create more awareness on the water, sanitation and hygiene challenges in Nigeria. 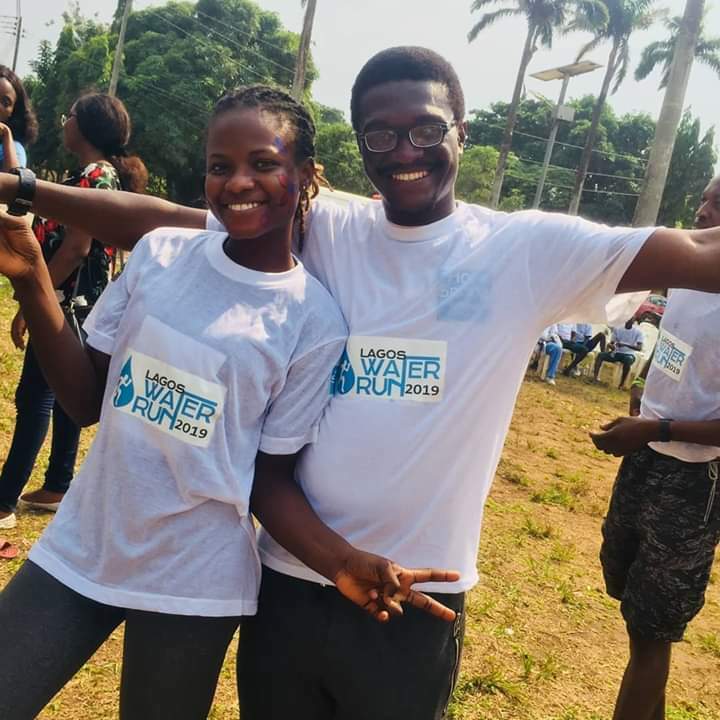 The Lagos Water Run was organized by Hope Spring Water and AnAwake Foundation to raise funds for water projects and sensitize the public on their rights to water. 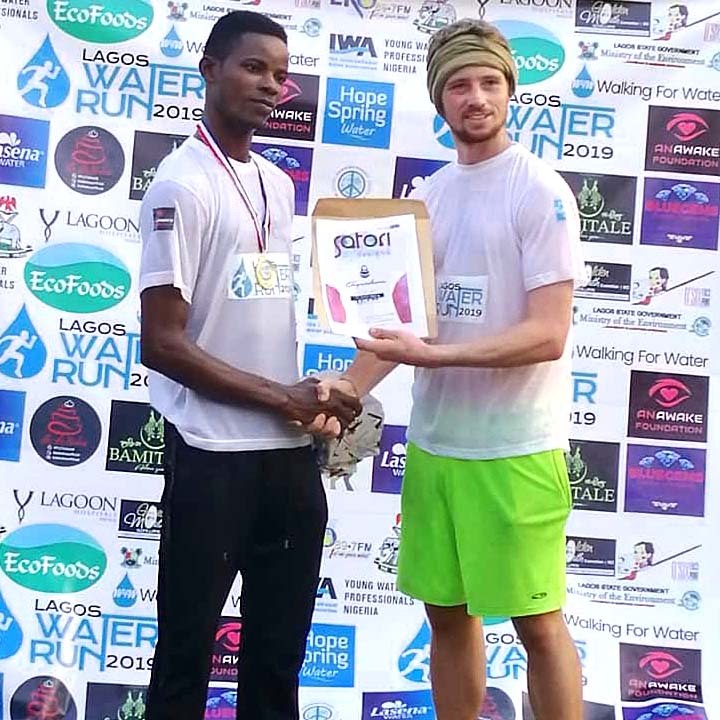 The even thought several partners on board, such as Nigeria Young Water Professionals, Ecofoods, Lagoon Hospitals, Lagos, Bluegems Event Management, Nigeria Police Force, Walking 4 Water, and the Lagos State Ministry of Environment. There was no dull moment as there were musical artists who were present to entertain the participants. The adults were not left behind. 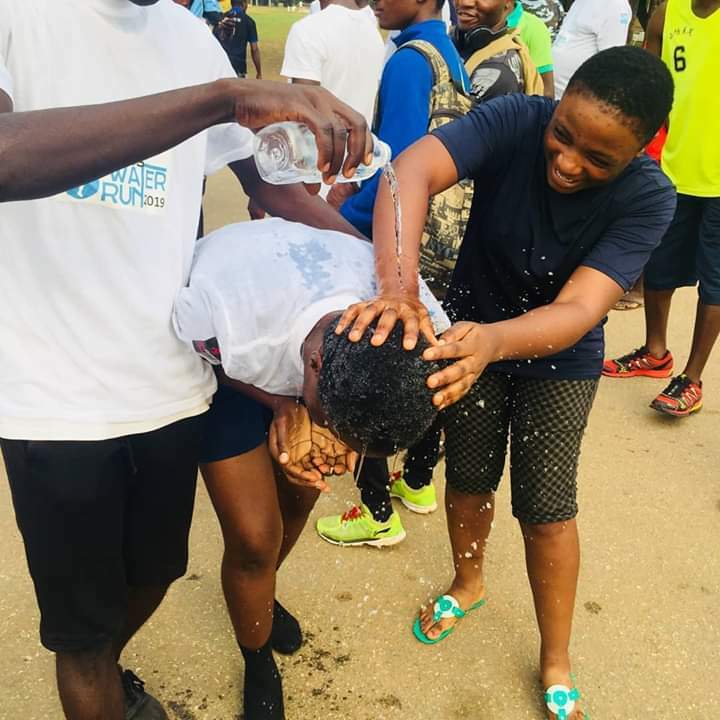 Twenty four male adults took part in the 400m race with 10 Litres of water on their heads while 12 females were also involved in the 400m race carrying 10 Litres of water on their head. The 800m category for adults had 16 male and 8 female experience the journey of walking and running with water on their heads. The long distance race included 5km and 10km which tested the resilience of participants to go long distance in search of water. This is the ordeal of millions of people in Nigeria and globally. 12 participants took part in the 5km marathon whilst 9 participants took part in the 10km marathon. 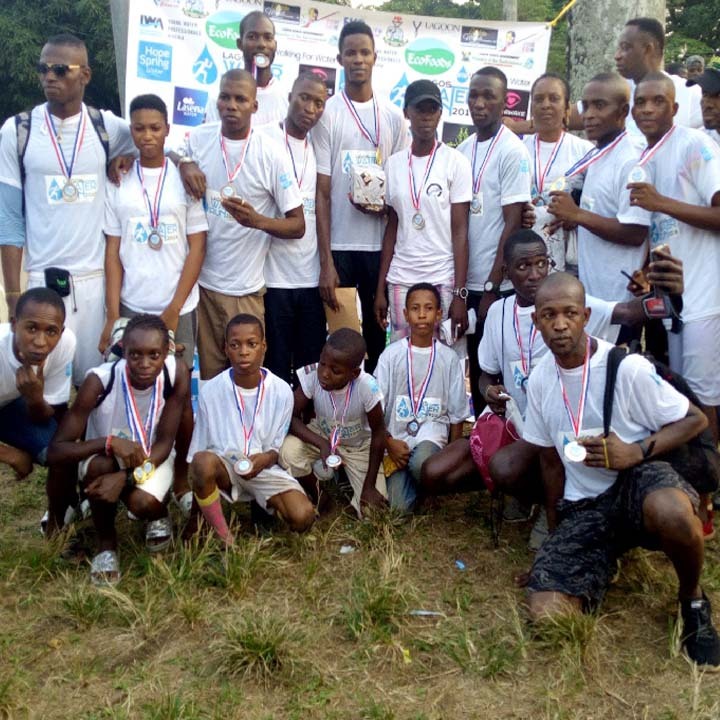 The Lagos Water Run was an Eye-opener for many participants who felt first-hand, the challenges that over 60 million Nigerians go through everyday. After the event, some of the participants confirmed that everyone deserves a source of clean water at home or close to their homes. The event had over 300 participants, most of whom are youths. The Lagos Water Run couldn’t have also come at a better time than now when the Running Dry movement is on. 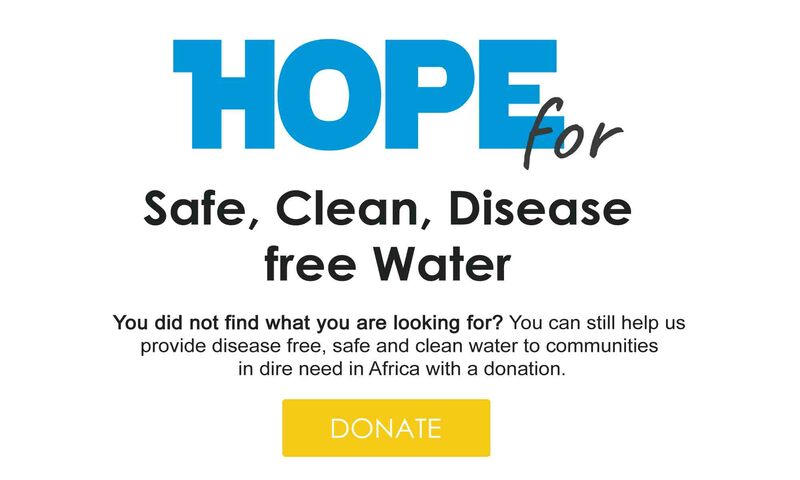 This goes to also support the efforts of Mina Guli who is championing the running dry movement to end water poverty globally.